A re-invented Cousine from Vallarta. Inspired, produced and made from local talent with traditional recipes under innovative and artisian techniques. Great flavors in every dish. The flavors are layered and well blended. The ingredients are local and go beyond the everyday dining experience. The octopus and sea bass with guajillo pepper sauce was has down the best thing I ate all week. This was better than any other place we ate, including Cafe des Artistes. Bravo Tintoque! Excelente servicio, lugar agradable, excelente técnica por parte del chef, quien ofrece mucha creatividad en sus platillos. Wonderful restaurant. The menu is very creative and the food is excellently prepared. The setting is very pleasant and the neighborhood is nice with good parking. Muy bonito lugar, excelente comida, servicio bueno. 100% recomendable. We really enjoyed our meal at Tintoque. We both chose the 6 course dinner with wine pairing, and thoroughly enjoyed every course. If you're really particular on wines, they may not be the perfectly full-bodied reds you'd usually have, but each wine paired well with the course we provided. We also enjoyed that the ingredients were locally sourced or inspired. Will definitely go back on a future visit. The food was great, although the mole in the risotto was overpowering and there was too much sauce. The foie gras was completely lost in it. The rest of the food was delicious. The Sour Apple did not match the tasting notes on the menu, it only tasted of vanilla. As a chef and bartender, this was very disappointing. The service was lacking, there was no explanation of the dishes, only when asked and still it was underwhelming. We waited around for things like plates, cutlery, glasses etc and our server was very nice but not attentive. Even when we were clearly waiting for something or to order a drink, he was not noticing us. It was a special night out with my parents who were visiting so the service was a bit disappointing, especially for a restaurant of high standard. I have been to amazing restaurants in Tijuana, Valle de Guadelupe and Mexico City. 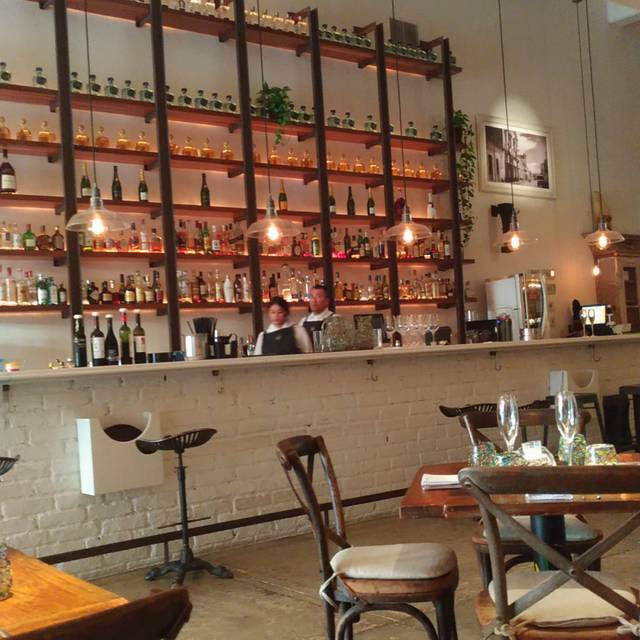 While this restaurant tried, the menu fell short and wine pairings even shorter. The front of house, including Marco and Marisol, were passionate and and knowledgeable about the dishes. The food items were cooked to perfection. What fell short were the recipes and wine pairings . My husband had the scallops with anchovies (which was good) and catch of the day with lentils and truffles (which overpowered the fish). I had the 6 course pre-fixe menu with wine pairings. The flavors of most of the dishes ran together resulting in a soup or stew mash up rather then one dish with multiple different flavor profiles (like one finds at Michelin star restaurants or even Javier Placentia’s Mission 19). The wine pairings were completely off, except for the steak course. They either overpowered the dish or cowered from the dish. We drove 30 minutes to this restaurant. 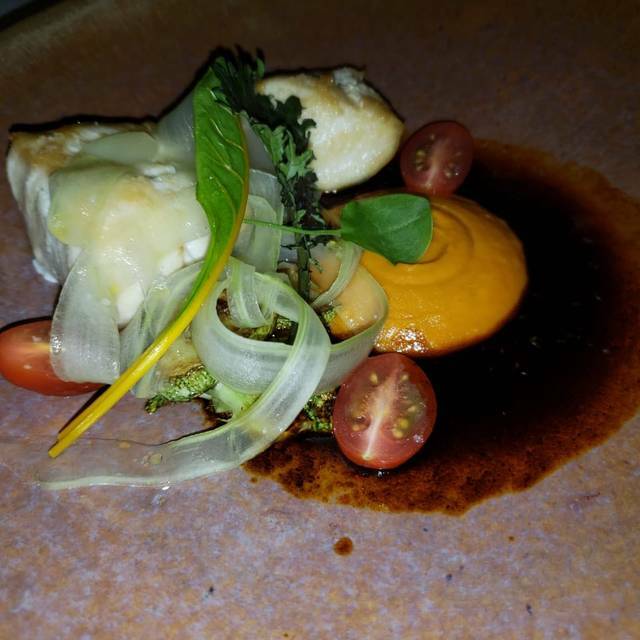 In the end we wished we had bought the all inclusive at Garza Blanca, where the food was modern and delicious. I gave this restaurant 4 stars because it is good food. But, it is too expensive for what it is to recommend it. My fourth wonderful visit. The big Clam done ceviche style was incredibly flavorful. My best Ceviche ever. The Foie Gras in a risotto mole was very special; easily the best Mole I have ever had. The Scallops prepared with snails and anchovies was very inventive and equally tasty. I have spent three months a year in Puerto Vallarta for the last 10 years and have eaten at the best. Tintoque leaves everyone else in the dust. This was the third time we were at Tintoque. The first time the owner and chief was there and the food was excellent as well as the service. My wife is a vegiterian and the chief and the waiter that assisted us were very helpful and made several recommendations that were not on the menu. Unfortuanely that type of service is not lacking. We went back in February and again just last week . 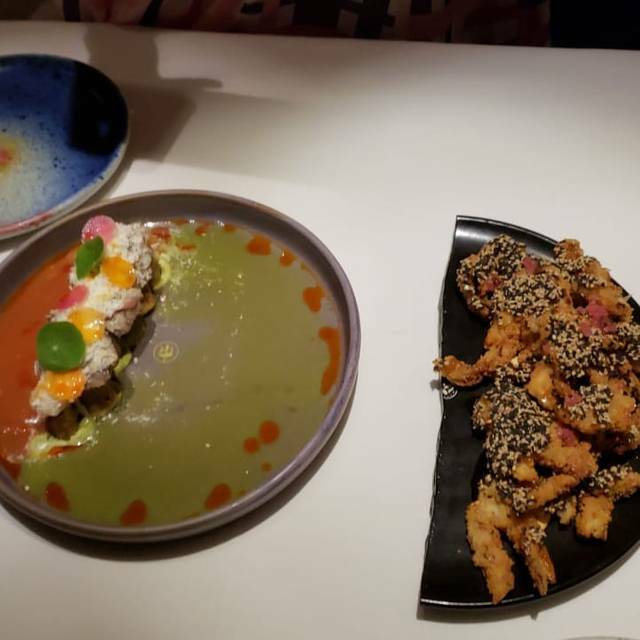 Both times the food was average, the selections were liminted and they were not very accommodating to my wife's dietary requests even when we asked. The only reason we went back last week was that one of our guests who we went with the first time wanted to go. needless to say without the owner there the service and the quality of the selections of the food have gone downhill. I am sorry to say we will not be going there again nor recommending it. Absolutely fabulous restaurant! On par with fine Michelin starred restaurants we’ve been to in the US and Europe. We started with a softshell crab appetizer to share, and then went on to the six course tasting menu with wine pairings at each course. Each course and each wine was perfect beyond description. One highlight was a 72 hour poached tomato with a peanut mole sauce...simply one of the best dishes ever. We could go on and on, but the bottom line is if you appreciate great food and wine, Tintoque is not to be missed. Good concept but execution not there. Shrimp app way overcooked. Foie Gras app in mango was ok. FILs sous vide tomato dish was the best dish. Wife’s steak was nice but gnocchi kinda weird. Sauces really rich (which is not a bad thing) but need something to offset that richness. Desserts were really good. Excellent food experience though a bit on the pricey side. Todos los platillos que pedimos estuvieron excepcionales. This restaurant was amazing in every way. The food was more than delicious. Service was attentive, caring, yet not overbearing. Ambience was very nice with open kitchen. Very trendy looking in a very positive way. Loved it! Foodies from Chicago loved every course. A creative chef no doubt. We were pleasantly surprised at every dish. Love coming here every time my husband and I get the pleasure to visit Puerto Vallarta. Enjoyed it this occasion with friends from Texas. Great restaurant and everything is always amazing. Keep up the good work. A superb fine dining experience. Had anticipated some pretension based on reviews but casual elegance and exceptional service created a relaxed and very comfortable evening. The manager/wine steward(?) was particularly gracious and offered excellent suggestions. 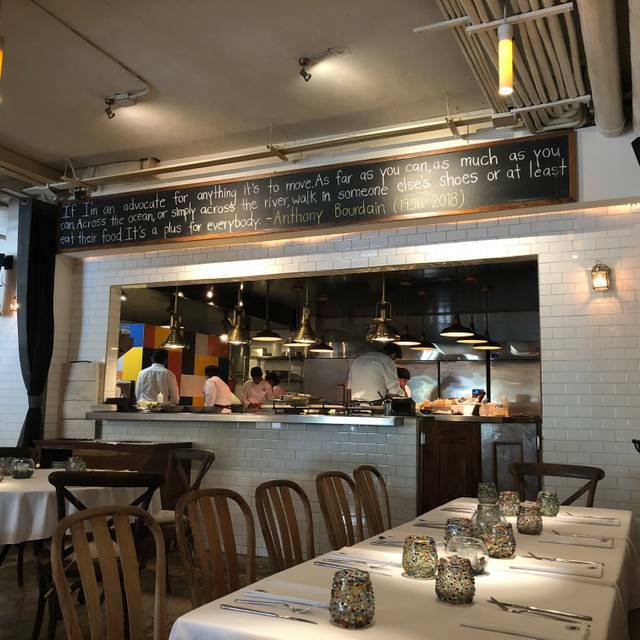 Servers were very well trained, unobtrusive, and anticipated needs. And oh the food! Foie gras in a mango dome, a reinvented tomato salad, a perfect ribeye, and cheesecake that set a new standard for deliciousness. Don’t miss Tintoque! Tintoque was a very Unique dining experience with a Creative menu for sharing. Our waiter, Victor, was very knowledgeable, patiently offering different wines until we were satisfied and explaining the dishes and ingredients. Everyone was very polite and friendly. Our group of 4 ladies Would recommend it to friends. 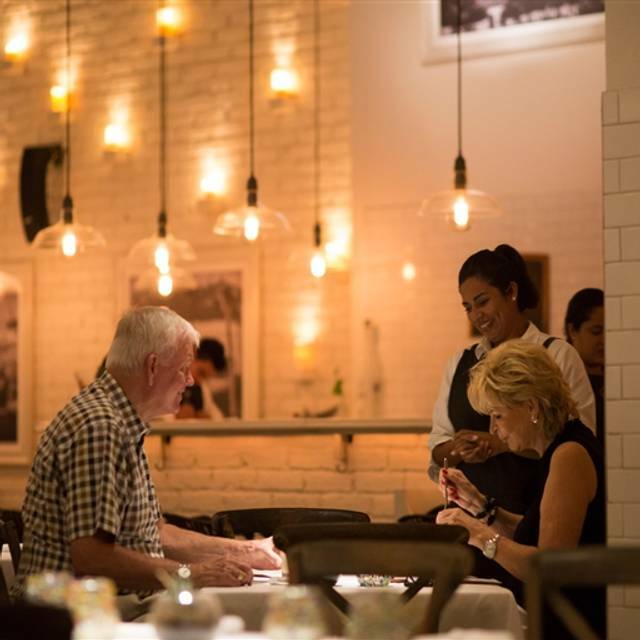 On our last visit to Puerto viallarta we missed our chance to dine at the then brand new Tintoque restaurant. Fortunately we did not make that mistake on our most recent visit. The space itself is fresh and modern with tasteful decor. The first thing you notice is The service. It is impeccable. We chose the 9 course chefs tasting menu. The Well trained and attentive staff did an excellent job of spacing out our courses perfectly. The cocktails were fresh and uniquely crafted by an expert bar staff. We could not believe the amazing things this young and ambitious kitchen staff were doing with locally sourced ingredients. A combination of classical techniques and local flavors meld seamlessly and deliciously. The food was simply sublime. And the portion sizes were perfect for a 9 course degustation. Plating was an art form, as each course was more beautifully presented then the last. We chose to add the very affordable wine paring to our meal and we were not disappointed. Sourcing some excellent varietals from Mexico and central and South America. By doing so, we were able to discover just how good these small production regional vineyards have become. I could go into extensive detail on each and every course served at tintoque, but I think it’s simply easier to go and see for yourselves. “Donde esta el michelino “?? Food with heart, passion, and creativity. Get the tasting menu. Well worth the cost! En general todo bien....los precios altos pero creo que PV en general es caro. Amazing Mexican take on French and European classics. Far exceeded our expectations. Looking forward to going back. Everything was very memorable. 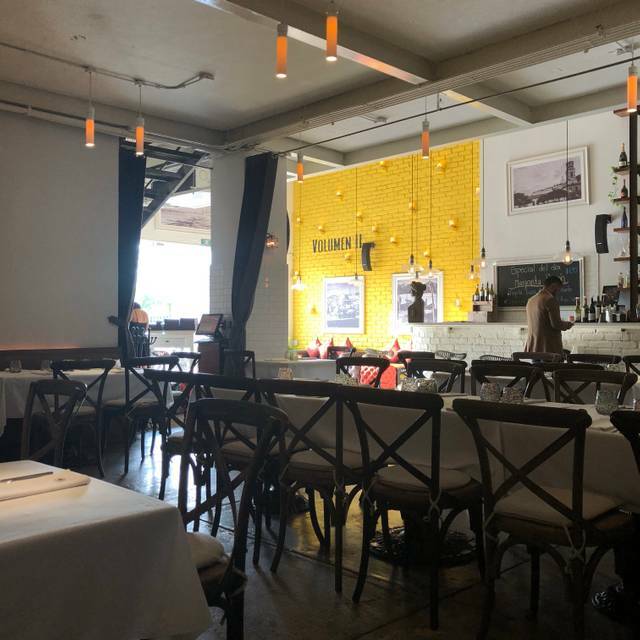 We spent our 2019 Valentine’s Day at Tintoque and absolutely loved the menu that Chef Joel Ornelas put together. 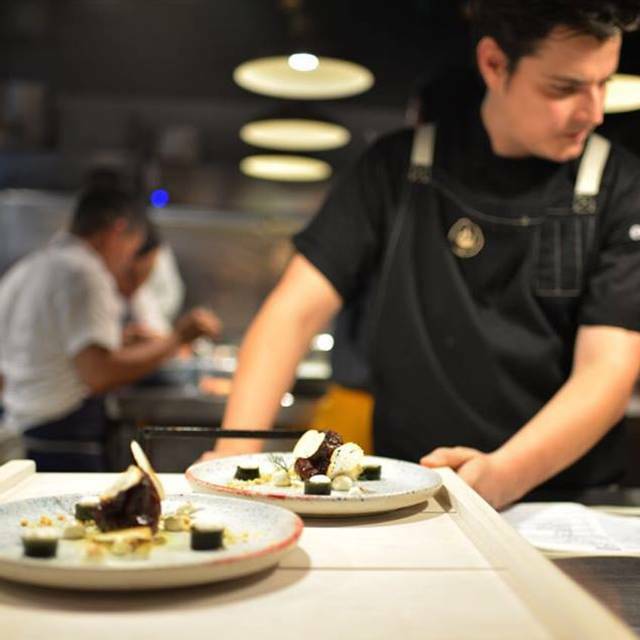 Each course brought traditional Mexican flavours that were executed with masterful technique. A must visit for anyone visiting Puerto Vallarta! Special menu for valentine’s day. EXTREMELY esoteric menu and list of ingredients. The waiter had to return to the kitchen twice to find out what several of the very few offerings was. Start to finish we were there almost 3 hours. 55 minutes between 1st course and second. It was. 6:00 pm reservation with very few tables occupied. No excuse for such poor training and preparation, especially considering the $$ category of this restaurant. Menu is complicated! We are foodies who love gourmet food. We went for Valentine’s Day not exceptional- waiter kept trying to push us into a six coarse meal. Our bill was over $200.00 with wine pairing. We did the sharing Menu and the waitress suggested only three would be plenty to share. We had shrimp,pork belly and chicken as our three choices. I didn’t care for the pork and ordered a tomato and strawberry salad topped with a pesto ice cream . It was Devine!!!! 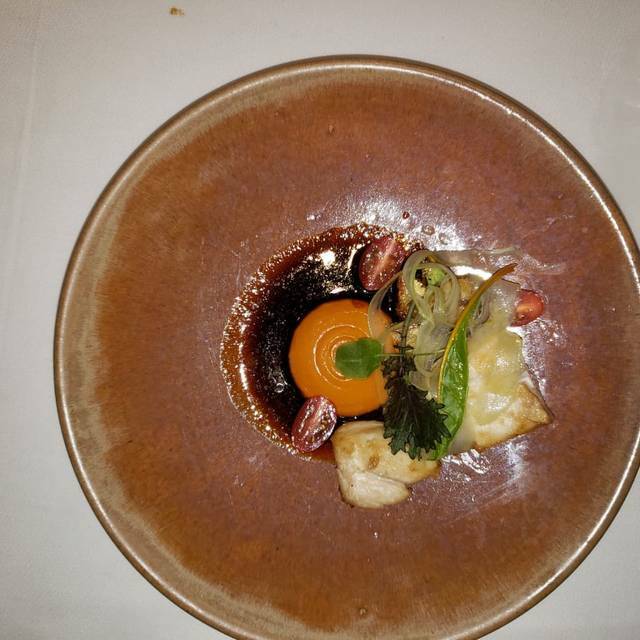 The presentation of each dish was excellent, a work of art! It will be first on our list to visit when we come back . Great food experience. Extremely creative chef. We had pesto ice cream - who would have thought of that? Service was attentive but not intrusive. Beautiful minimalist decor. Our favorite dining experience in PV this trip. It was an experience unless any We have experienced. The food was beyond amazing. We will definitely return. Our dinner at Tintoque was absolutely exceptional. Superb, non-rushed service accompanying ecxquisite, novel twists on local fare - we highly recommend the soft-shelled crab! Had to book an early reservation online which was strange since the restaurant was almost empty for an hour after we arrived. That said, service was great. Unusual and hard to understand menu. Waiter was helpful. Once we figured out how to order and what to order we had a great dinner. Probably the best restaurant in Puerto Vallarta. 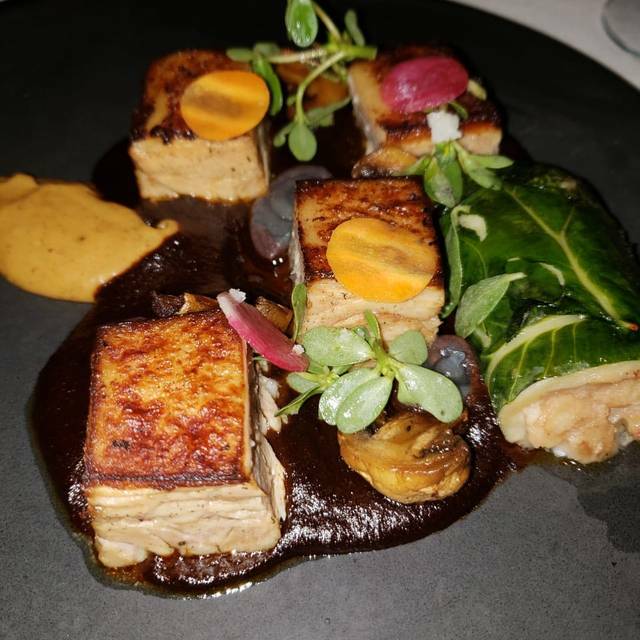 It is fine dining so not great for kids, but if you want the most flavorful local Mexican food from the Puerto Vallarta region, try their tasting menu. And I think the food in PV is pretty good, but this is the best. Yes it's expensive, however, sometimes something comes along that is worth it. This is that place. Don't miss it. Some of the best food I have ever had.